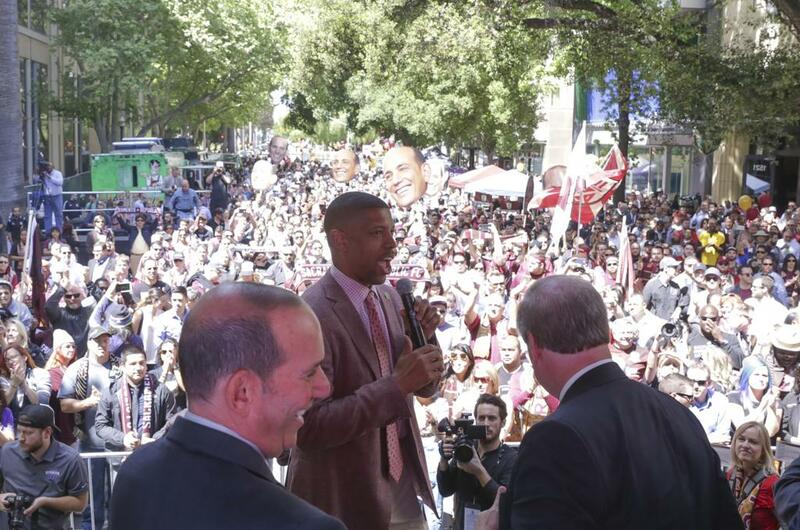 Commissioner makes announcement in front of well over 2,400 Sacramento Republic FC fans. SACRAMENTO, Calif. (April 14, 2016) – MLS Commissioner Don Garber announced today that the league will be expanding to 28 teams, and that he that he was very impressed by Sacramento. 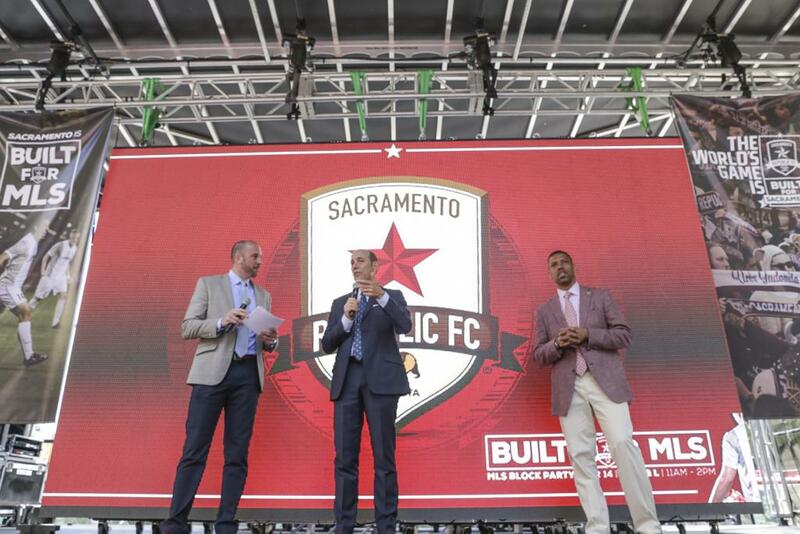 Garber made the announcement today during an MLS Block Party before more than 2,400 Republic FC fans. Mayor Johnson and Republic FC hosted Garber, and representatives from MLS, during their pitch for why Sacramento should be an MLS city. The visit consisted of series of meetings, a stop at the proposed stadium site at The Railyards and ended with a block party celebration that closed down parts of downtown Sacramento. 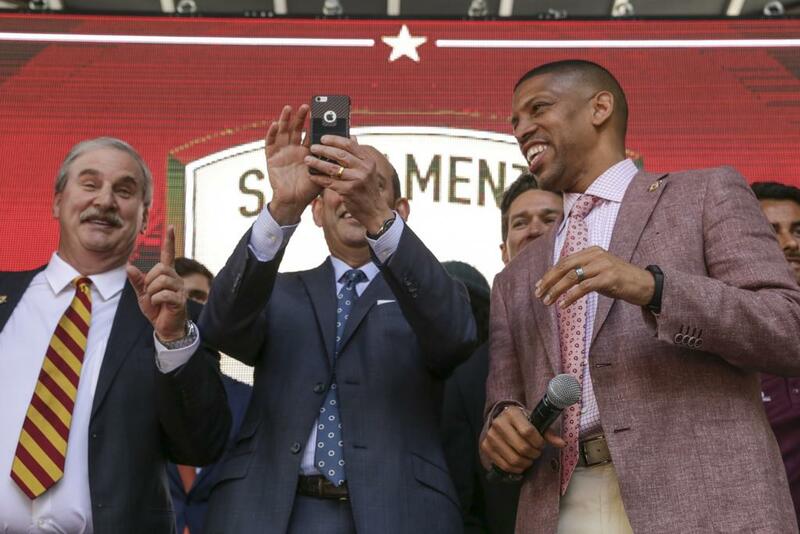 Garber started his day meeting with Republic FC Lead Investor Kevin Nagle and Sacramento Mayor Kevin Johnson. Afterwards, Garber took a driving tour of Sacramento including stops at the current Republic FC stadium Bonney Field, the proposed stadium site at the Railyards and the Golden 1 Center. The commissioner then met with investors, corporate partners, Republic FC President Warren Smith and San Francisco 49ers President Paraag Marathe, before interacting with hundreds of fans at a block party celebration. 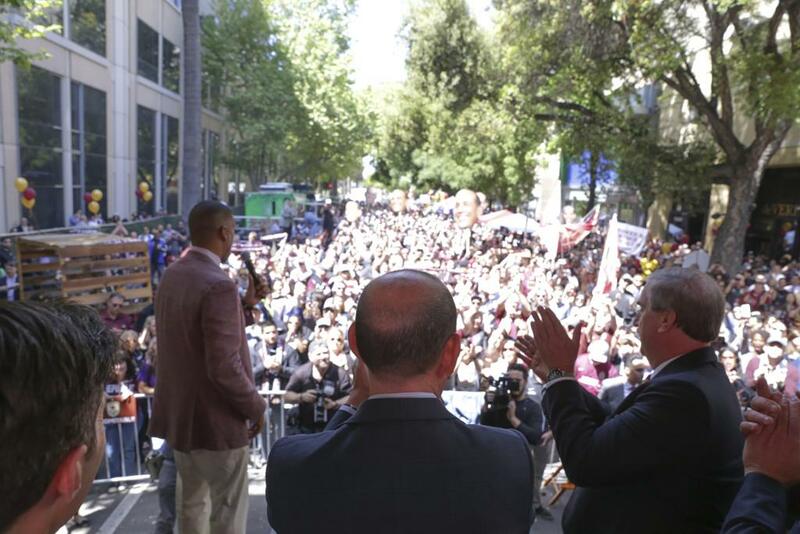 Well over 2,400 Republic FC supporters attended the MLS Block Party, packing L Street between 15th and 16th streets from 11 a.m. to 2 p.m. to welcome the commissioner to Sacramento. Mayor Kevin Johnson fired up the crowd before Garber answered questions from fans.